Currently, Shi Feng carefully scoured one of the dark, quiet tombs in Watch Cemetery's core region. While he explored, Shi Feng had received news from Aqua Rose about Overwhelming Smile withdrawing from the compet.i.tion over the Watch Cemetery and shifting its focus to several other Level 20 maps with fewer resources. The members of Overwhelming Smile had also begun to keep a low profile. With the threat of Overwhelming Smile gone, Shi Feng decided to transverse deep into Watch Cemetery's core. The tomb he currently explored was unique. It was a resting place for royalty. It was also known as a "King's Tomb." Locating this particular tomb had not been easy. As it had been built to prevent grave robbers from plundering the valuables buried with the dead, this place had been carefully hidden; it had been built inside a cave under a steep cliff. After its construction, the original path used to travel to this place had been destroyed. After several hundred years, vines had covered the cliff, making it even more difficult to notice the cave. In the past, a skilled a.s.sa.s.sin had accidentally discovered this location. Afterward, that a.s.sa.s.sin had led a powerful team to the King's Tomb and successfully plundered the treasure inside. After claiming the treasure, he sold the item for over 1,000 Gold, earning everyone's envy Even so, in the G.o.d's Domain of that time, the a.s.sa.s.sin had still taken a loss when he sold the item. Why had it been a loss? Although the item was utterly worthless to an independent player, to Guilds, it was priceless. Various large Guilds would willingly spend 2,000 or 3,000 Gold, much less 1,000. The treasure the a.s.sa.s.sin had found was a Guild Residence Promotion Order. All Guild Residences started out as a 1-star Residence when established. If a Guild wished to upgrade it to a 2-star Residence, they needed to meet two requirements. First, a Guild needed a sufficient amount of Guild Popularity; the second thing they needed was a 2-star Guild Residence Promotion Order. If a Guild Residence reached 2-star status, the Guild could establish certain facilities that were unavailable to a 1-star Residence. More importantly, a Guild Residence's Private Rooms would change. Guilds could only establish 1-star Private Rooms in a 1-star Residence, whereas 2-star Private Rooms could be established in a 2-star Residence. By resting for 24 hours in a 1-star Private Room, players could store up to 20% of the Double EXP buff. In a 2-star Private Room, however, players could store up to 25% after 24 hours. In addition, a Guild could establish a Smithy inside a 2-star Residence, allowing members to have their weapons and equipment repaired. Moreover, the repair fees as the Guild's smithy were 10% cheaper than elsewhere. Repair fees were always expensive. Although there was only a 10% difference, players could still save a significant amount of money. Currently, Zero Wing's Popularity had exceeded 5,000 points; it had met that requirement for the upgrade. Hence, now was the perfect time for Shi Feng to collect the Promotion Order. Danger awaited any player inside the King's Tomb as traps had been built throughout the crypt. Unfortunately, none of these traps proved to be useful against Shi Feng. He destroyed every trap he encountered with a single slash. "This should be it," Shi Feng muttered as he entered a majestic stone room, focusing on the tightly sealed white jade sarcophagus lined with gold that occupied the center of the room. Wetting his lips, he advanced towards the sarcophagus. When Shi Feng was only 20 yards away, the sarcophagus suddenly opened. Black smoke slithered out of the sarcophagus. Soon, the black smoke coalesced into a youth in golden armor. The youth had a white cape draped over his shoulders and a golden crown adorning his head. More importantly, the youth carried the air of a king; anyone who basked in his aura would tremble and submit body and soul. However, this youth's body was currently in a half-transparent, ethereal state. He was not a physical ent.i.ty, but a ghost. To be precise, this youth was the ghost of a king. "As expected of the king of a generation. Even in death, his still possesses such a powerful aura. If he were still alive, I'd have no hope of escaping with my life," Shi Feng muttered after observing this ghost king with Omniscient Eyes. Being capable of receiving the t.i.tle of King proved that Monroe Bell had been a Tier 3 cla.s.s before he died. The pair of swords in Monroe's hands indicated that he had been a Tier 3 Sword King, the equivalent of a Great Lord, during his lifetime. However, after Monroe Bell died, he had weakened significantly. Now, he was only as strong as a High Lord. Even so, he would not be an easy challenge for Shi Feng. 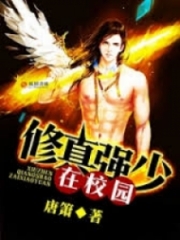 Immediately, Shi Feng activated Heavenly Dragon's Power, increasing his Strength by 100%, HP by 300%, and Defense by 300%. Suddenly, Shi Feng's HP rose past 27,000. However, his HP could not compete with the King of Ghosts, which possessed 4,000,000 HP. Shi Feng then used the activatable skill of the Seven Luminaries Ring's Aura of Water, Life Bloom, recovering 20% of his HP every second for 40 seconds. During this period, it would be the equivalent of having a powerful healer healing him indefinitely. "Graverobber, receive the Sword of Justice's retribution!" Monroe Bell's pitch-black eyes locked onto Shi Feng. Taking a step forward, the King of Ghosts dashed towards Shi Feng as he sent a flurry of sword thrusts at the intruder with his King's Sword. The King of Ghosts' sword carried with it a majestic aura. The aura alone was enough to scare an ordinary player, much less the flurry of thrusts. Monroe Bell's attack was like a tsunami; he gave Shi Feng no opportunity to evade the strikes. Shi Feng immediately activated Purgatory Power, allowing his Attack Speed to soar. He then used Wind Blade and charged forward. Facing the countless oncoming sword thrusts, Shi Feng chose to face brutality with grace, and rather than confronting the attack head-on, he deflected the strikes to the side. However, despite the extreme speed of his swords and the fact that he was already in the Flowing Water Realm, he could not keep up with the dozens of sword thrusts. As a result, he received multiple hits. Shi Feng was not courageous enough to face Monroe Bell directly. A High Lord far surpa.s.sed an ordinary Lord. Monroe Bell suppressed Shi Feng completely in terms of Strength and speed. Even if Shi Feng activated twofold berserk, the result would be the same. Furthermore, Monroe Bell was not an ordinary High Lord. The King of Ghosts had been a bona fide Sword King before he died. In terms of combat technique utilization, he was even stronger than ordinary experts. Hence, challenging the High Lord in a direct confrontation would only be detrimental to Shi Feng. If Shi Feng had not reached the Flowing Water Realm, gaining insight into an opponent's actions, he would never have come here, only to die. After all, Level 30 was a dividing line in G.o.d's Domain. Monroe Bell's Attack Power was also terrifying. Shi Feng had received close to -2,000 damage from a casual slash and more than -4,000 damage if the King of Ghosts struck him with a skill. If Shi Feng had not activated Heavenly Dragon's Power, increasing his Defense significantly, Monroe Bell's normal attack could have dealt over -4,000 damage, whereas a skill would deal over -10,000. As Shi Feng received damage, Life Bloom displayed its impressive effects. After factoring in the pa.s.sive effects of the Aura of Water, Life Bloom regenerated more than 8,000 HP every second; the amount of healing Shi Feng received surpa.s.sing the damage he received. While Shi Feng and the King of Ghosts fought an intense battle against each other, a figure had stealthily appeared beside the sarcophagus and proceeded to open the treasure chest within. This treasure chest did not have a level restriction, so anybody could open it. However, opening it required 20 seconds. During this period, the person opening the treasure chest must not receive any damage. Otherwise, they would have to start the opening process all over again. Meanwhile, the person currently opening the treasure chest was none other than Shi Feng's doppelganger. Although the doppelganger could not pick up any items, it could open the treasure chest. In the past, the 50-man team the a.s.sa.s.sin had led had similarly made various sacrifices to open the treasure chest before fleeing for their lives. Although Shi Feng was alone, he still chose to give the King's Tomb a try. After all, not only did he possess the strength to resist a High Lord for a short time, but he also had his doppelganger. No one else would have a chance of completing the task by themselves. The moment the doppelganger opened the treasure chest, Shi Feng instantly swapped positions with it, having his doppelganger delay Monroe Bell while he looted the contents of the treasure chest. Monroe Bell was simply too powerful. Shi Feng's doppelganger barely lasted three seconds before it died. However, during those three seconds, Shi Feng had emptied the treasure chest. 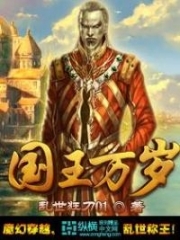 Seeing Monroe Bell charge towards him, Shi Feng hurriedly switched the Aura of Water to the Aura of s.p.a.ce before activating s.p.a.ce Movement and leaving the King's Tomb. 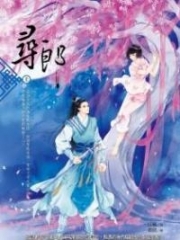 You're Read Reincarnation Of The Strongest Sword God Chapter 484 online at NovelOnlineFull.com. You can use the follow function to bookmark your favorite novel ( Only for registered users ). If you find any errors ( can't read,broken links, can't load photos, etc.. ), Please let us know so we can fix it as soon as possible. And when you start a conversation or debate about a certain topic with other people, please do not offend them just because you don't like their opinions. You're reading Reincarnation Of The Strongest Sword God. This manga has been translated by Updating. Author(s): Lucky Cat. Already has 4071 views. Current Time is 25-Apr-2019 03:56:48 AM.